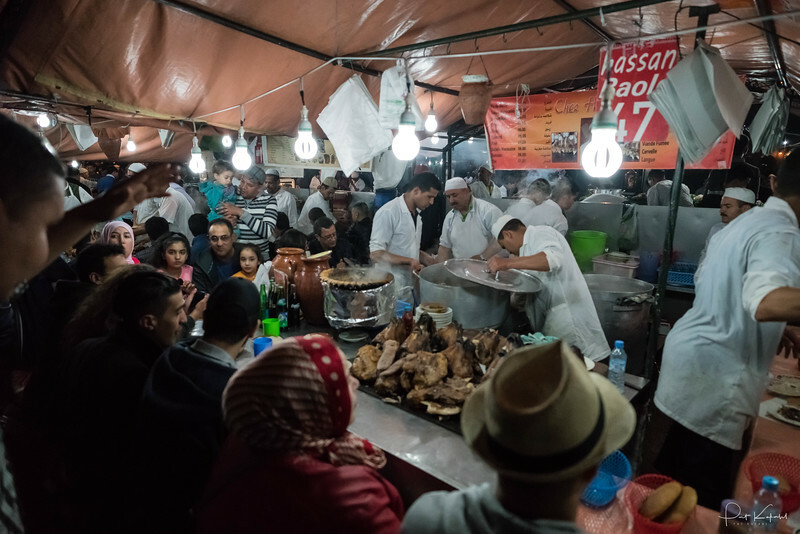 Images from a recent trip to Morocco, including Tangier, Gibraltar, Casablanca, Marrakech, Skoura, Merzouga, the Sahara, Midelt, Fes, and Chefchaouen. 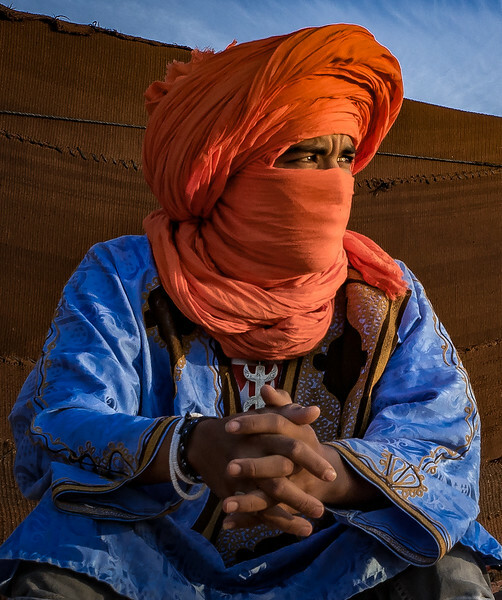 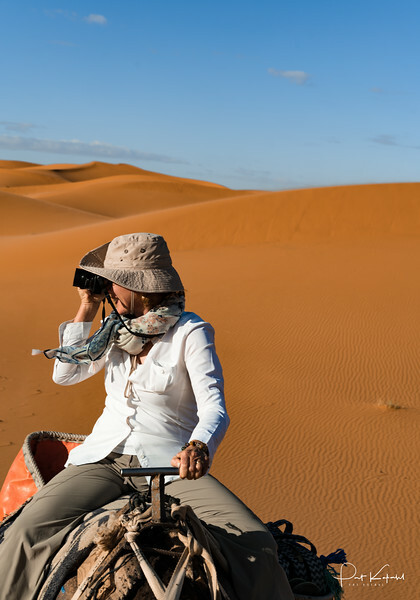 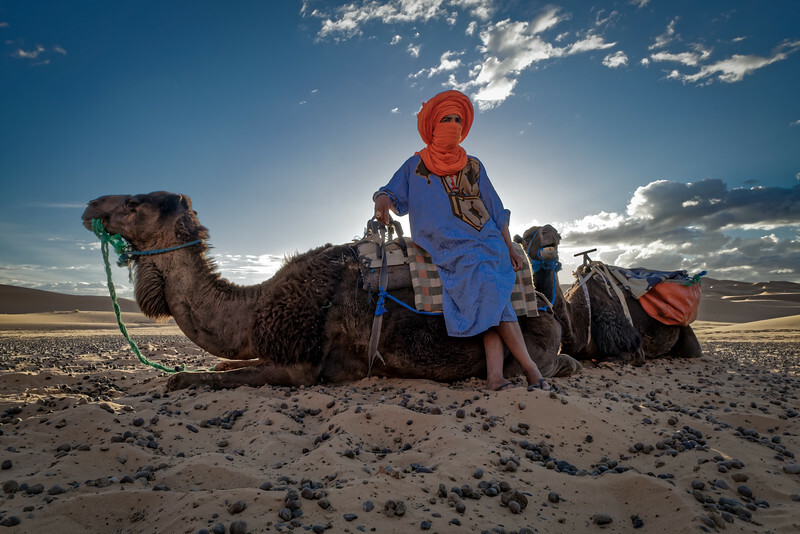 Our Berber guide surveys the weather as we prepare to Caravan back to Merzouga in the Sahara desert. 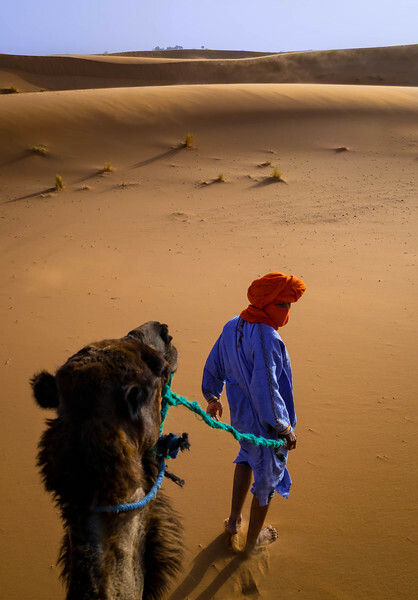 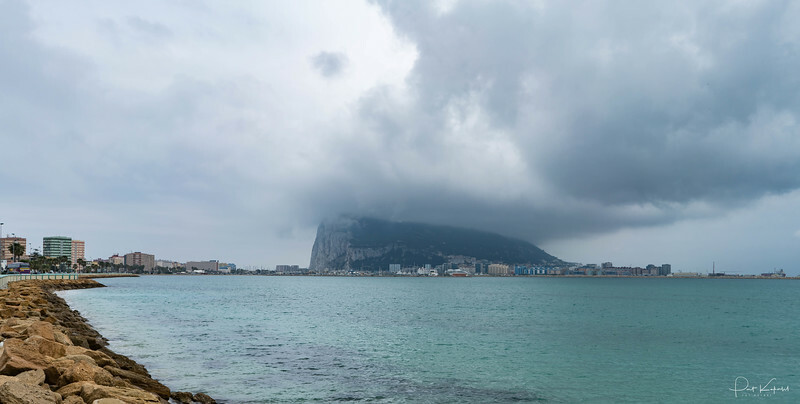 The old proverb tells us that a journey of ten thousand miles begins with a single step, and yet sometimes that single step can be the most difficult. 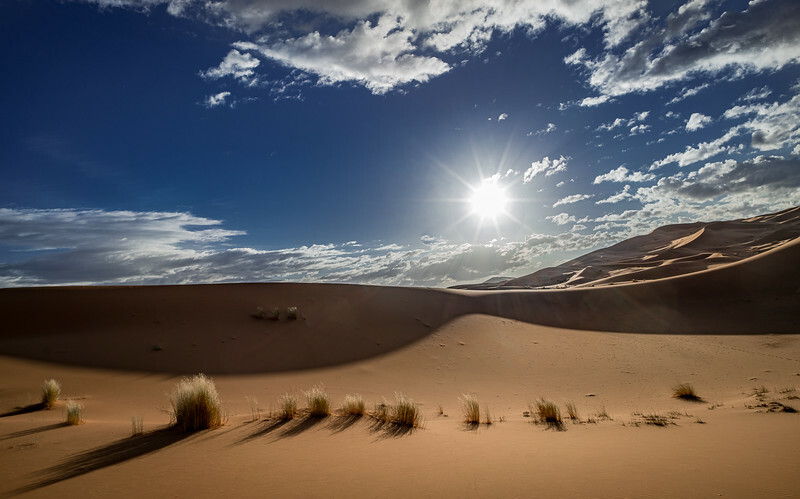 Some fail to realize that the catalyst is simply a choice, and that we are the chooser. 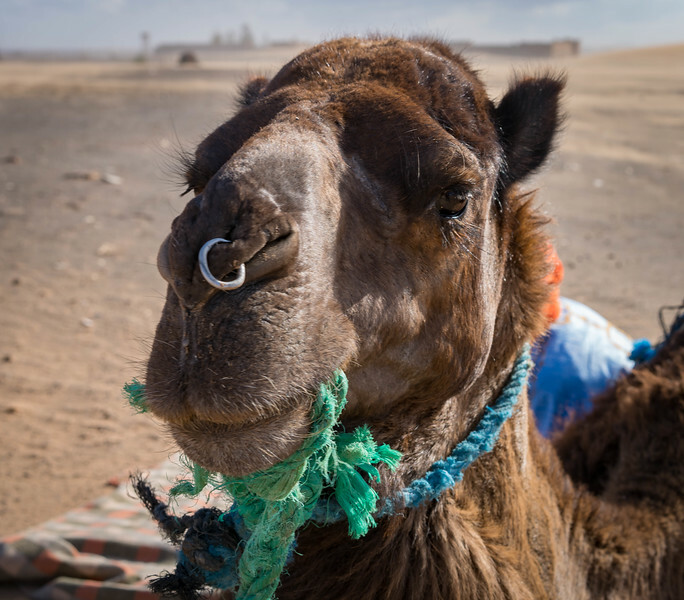 My caravan companion surveys the Saharan Landscape, fashion forward as always. 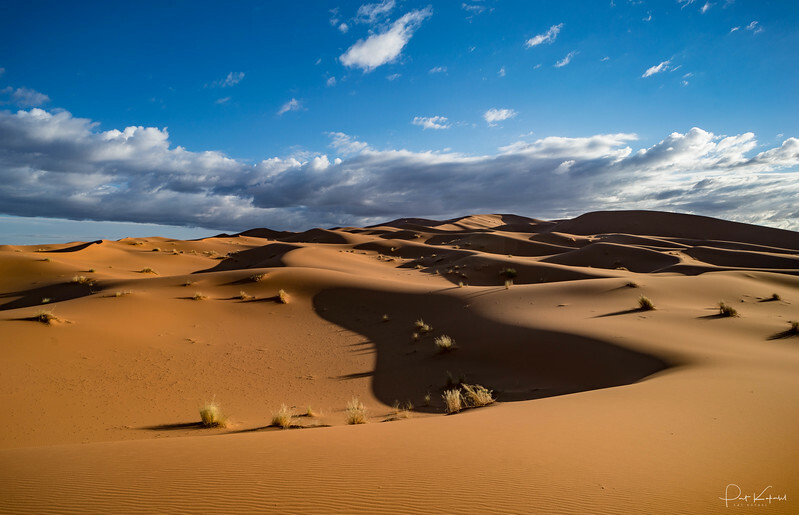 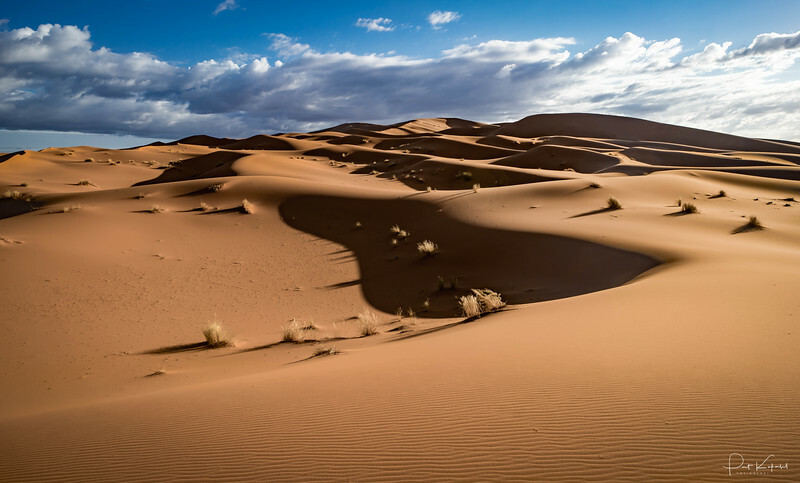 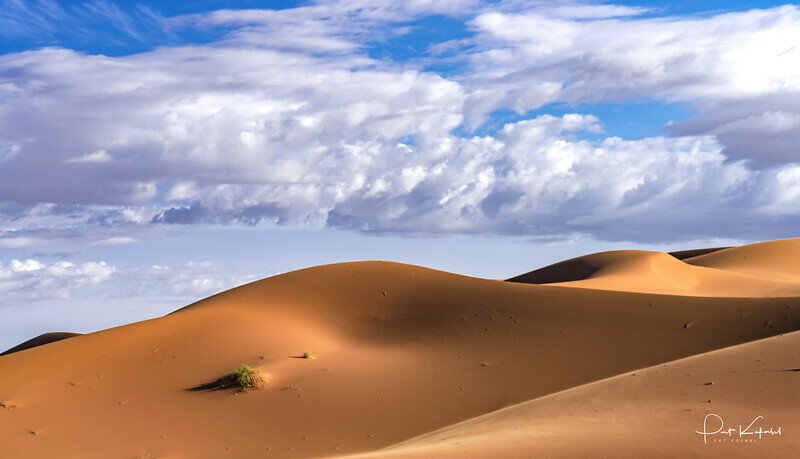 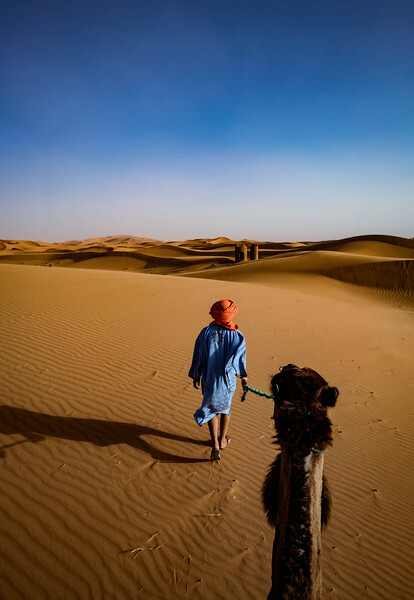 The dunes of Erg Chebbi (a large seas of dunes formed by wind-blown sand) can reach a height of up to 150 meters or almost 500 feet, the tallest in the entire Sahara desert adjacent to the border with Algeria. 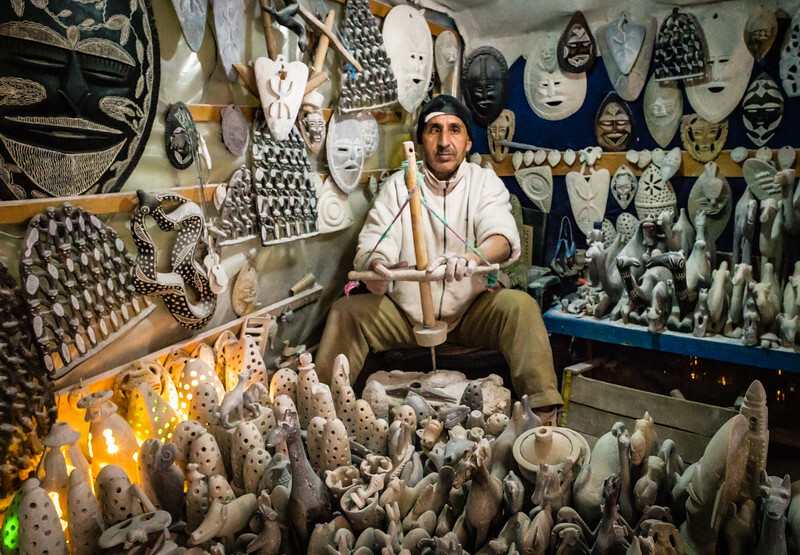 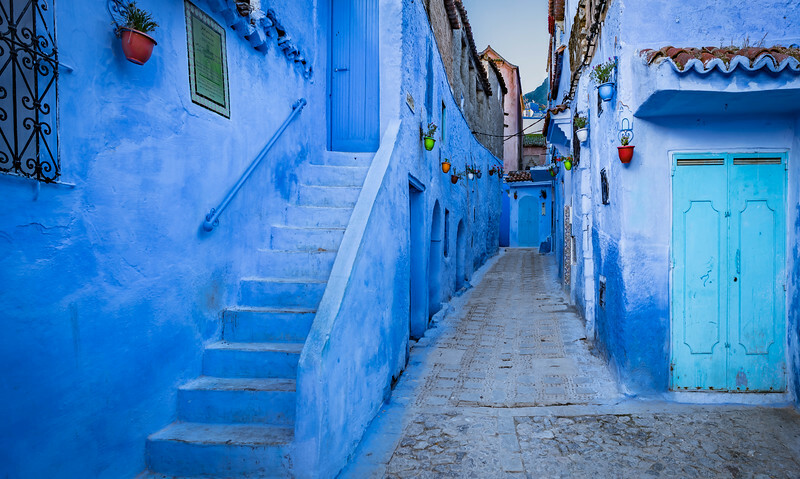 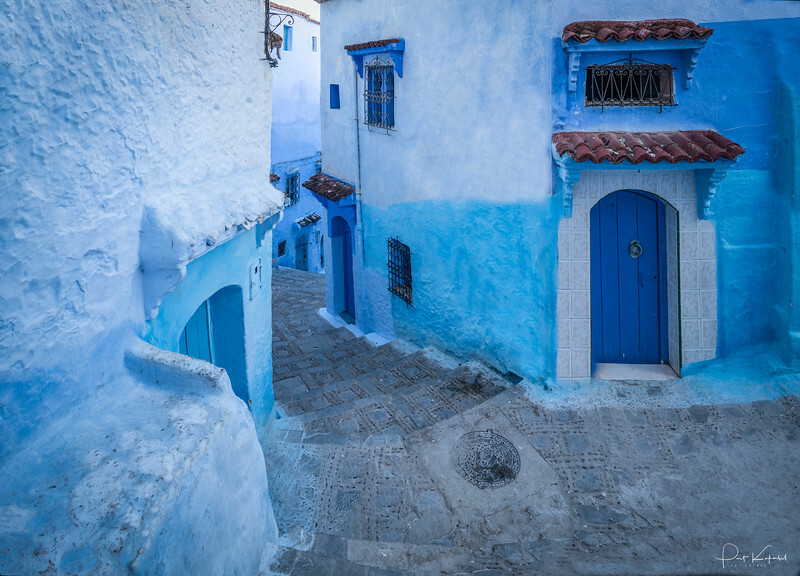 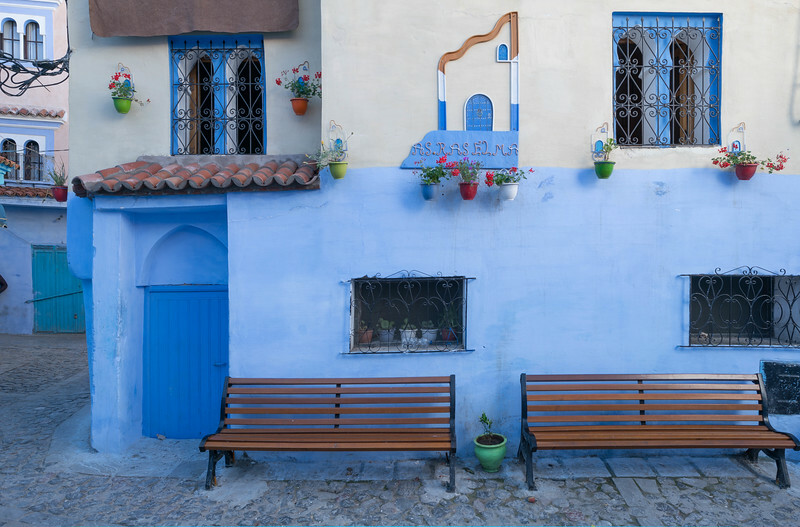 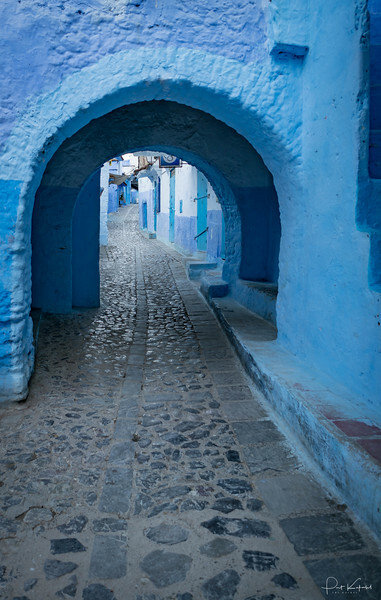 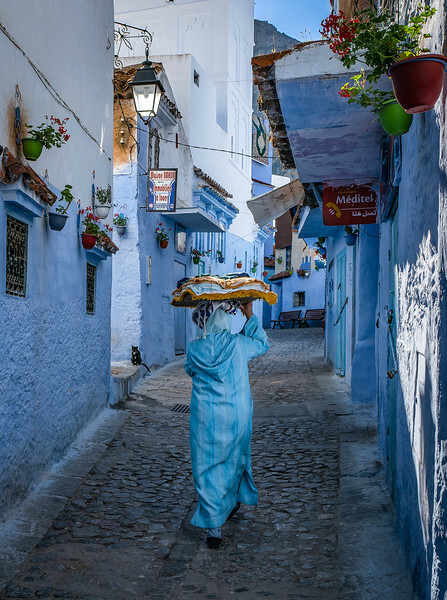 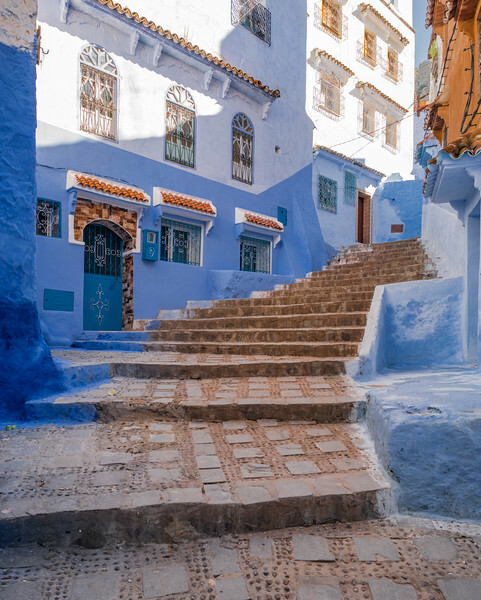 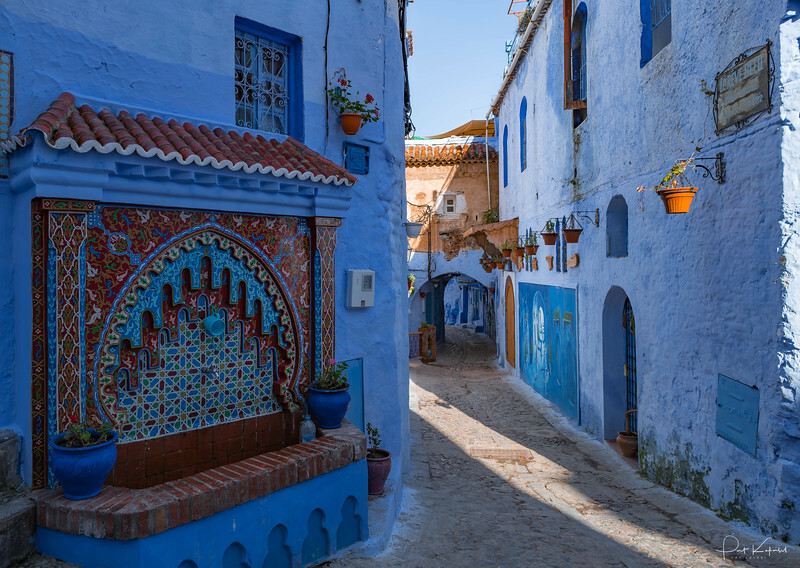 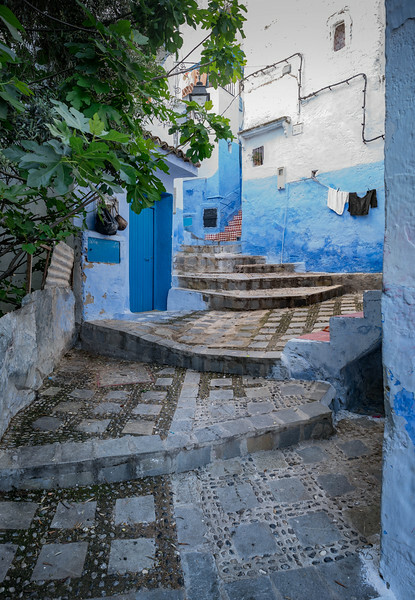 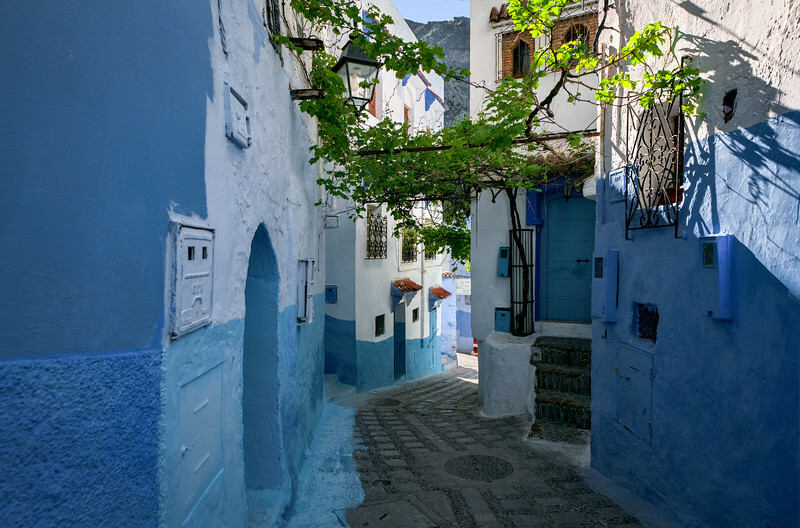 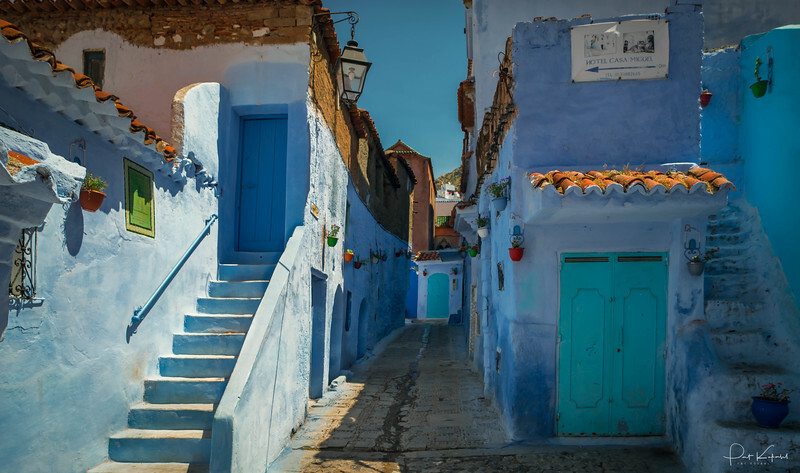 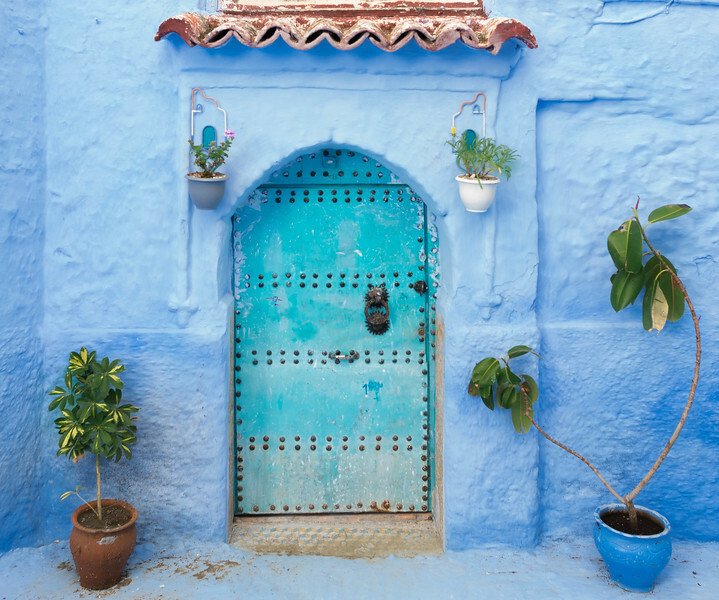 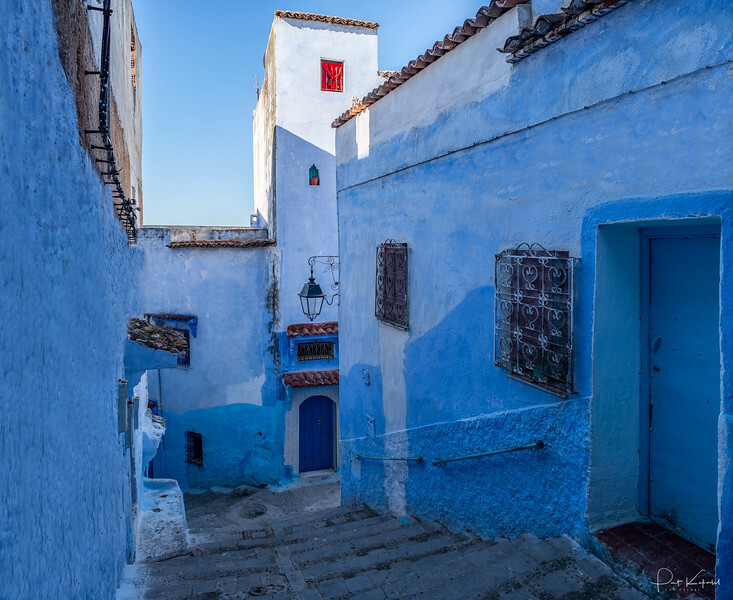 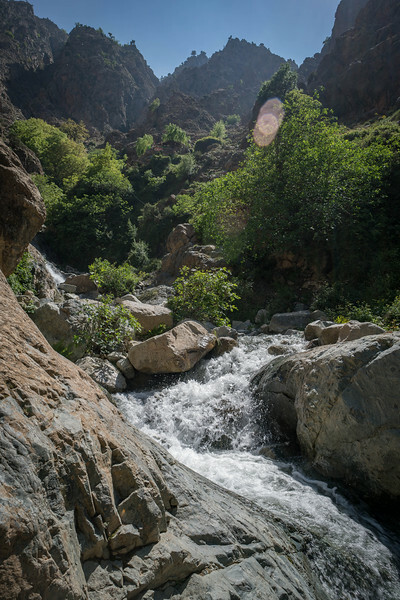 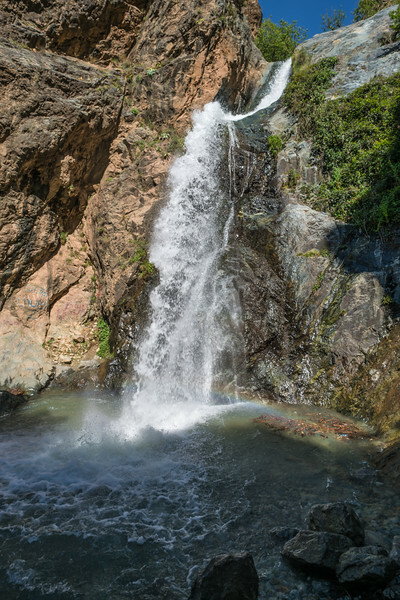 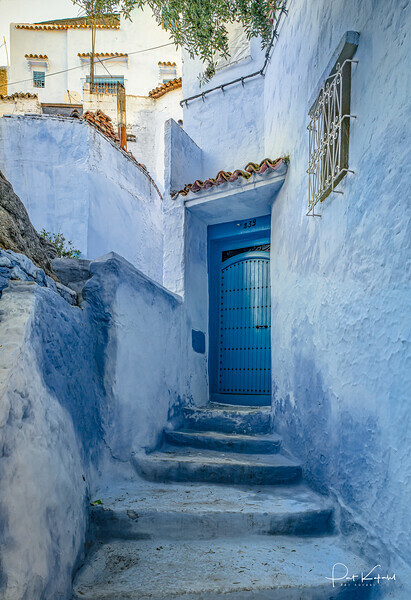 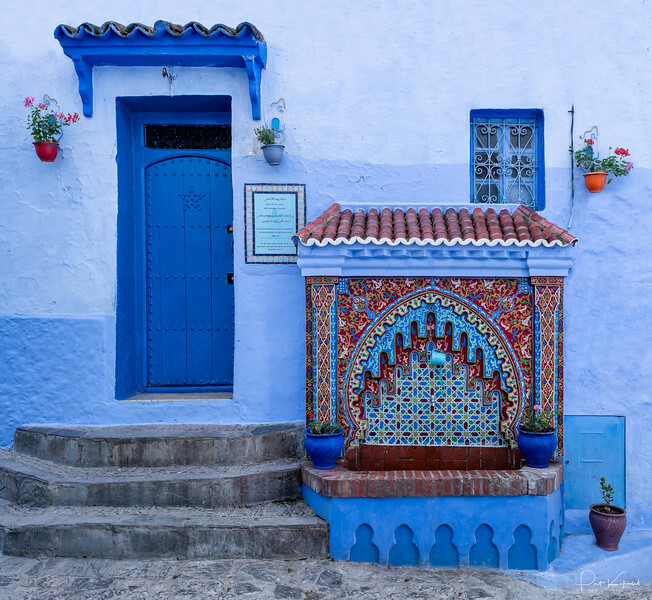 Two hours out of Tangiers, Morocco, high in the Rif Mountains sits the Blue Pearl, also known as Chefchaouen, an azure-washed mountain village, that is as magical as the city of OZ but viewed with a different set of lenses. 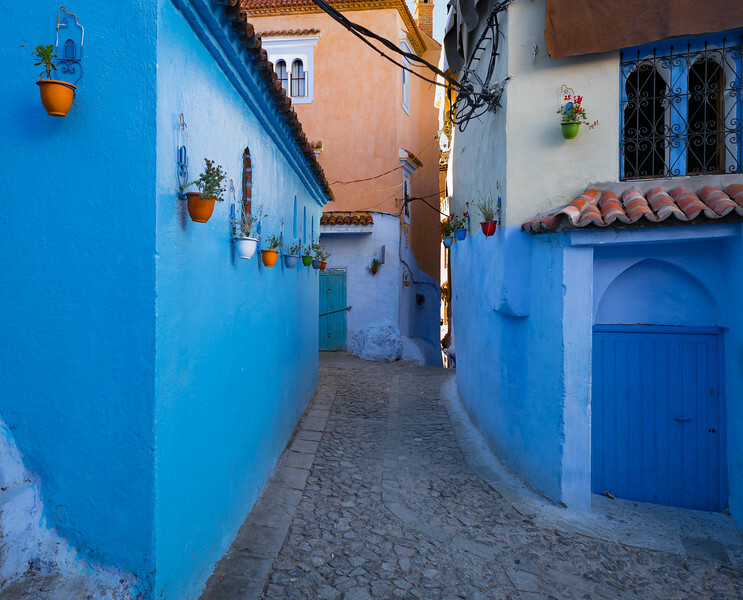 The tiny Moroccan town of Chefchaouen, situated high in the Rif mountains is a city of cats. 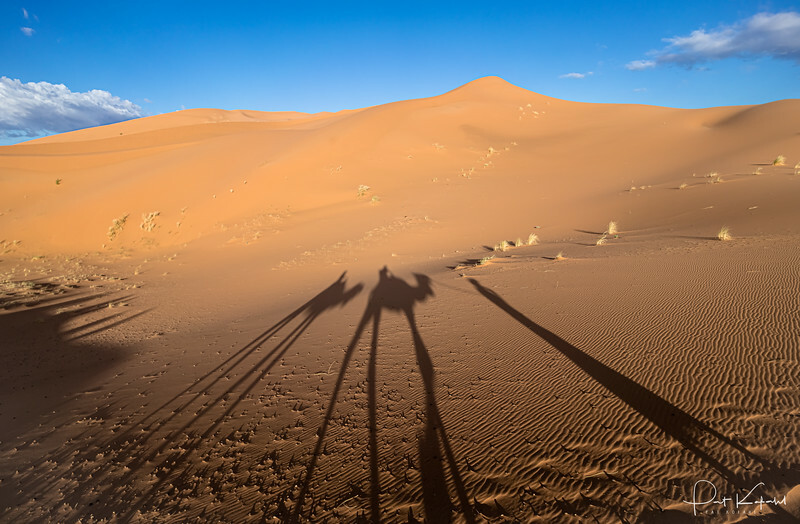 In the early morning they can be seen everywhere, lazing in the sun, chasing dust motes, looking for an early snack, or just silently monitoring the comings and goings of their humancharges. 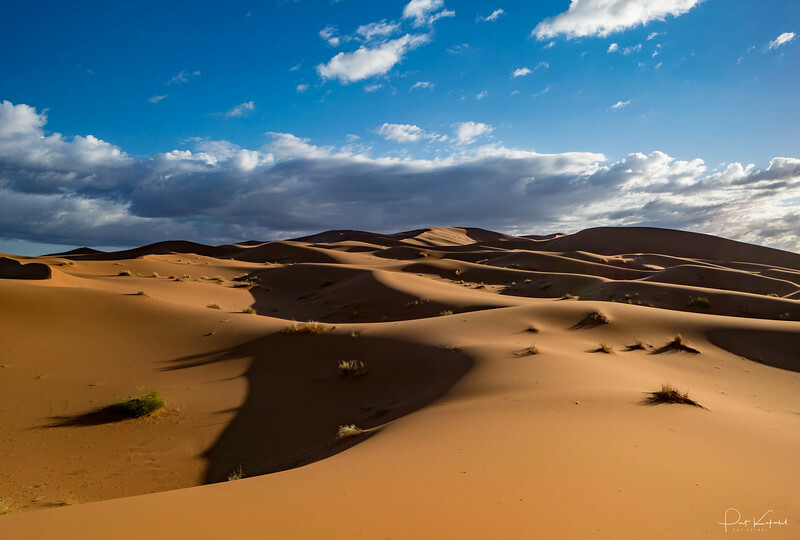 Vierw of the Sahara Dessert near Merzouga, Morocco, site of the highest dunes of the entire desert. 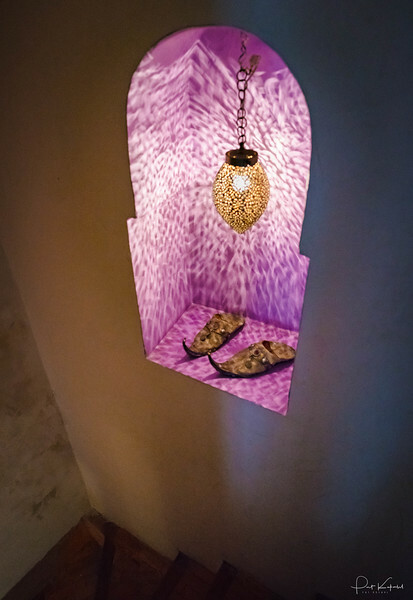 A pair of magic slippers decorate a small lighted nicho in a riad just off the Jemaa el-Fnaa medina in Marrakech, Morocco. 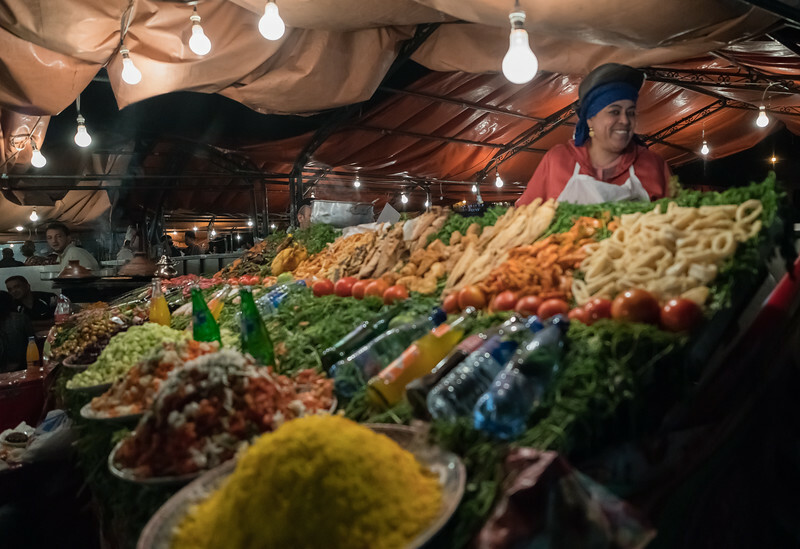 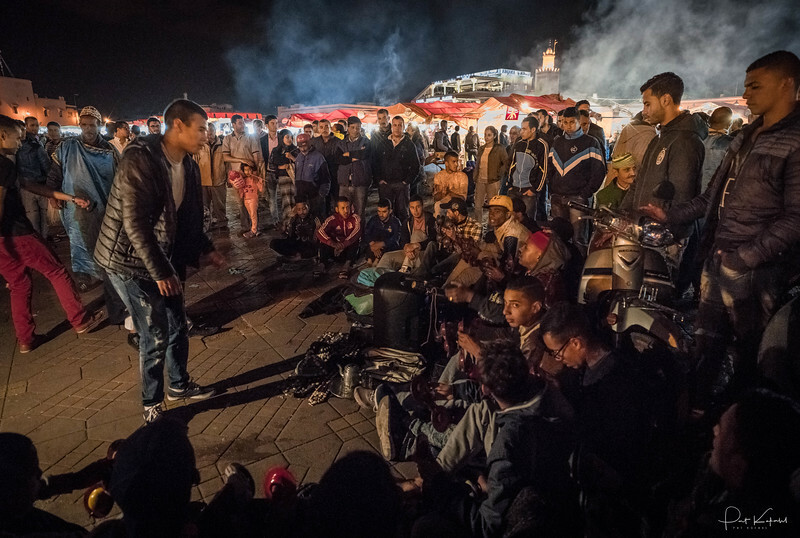 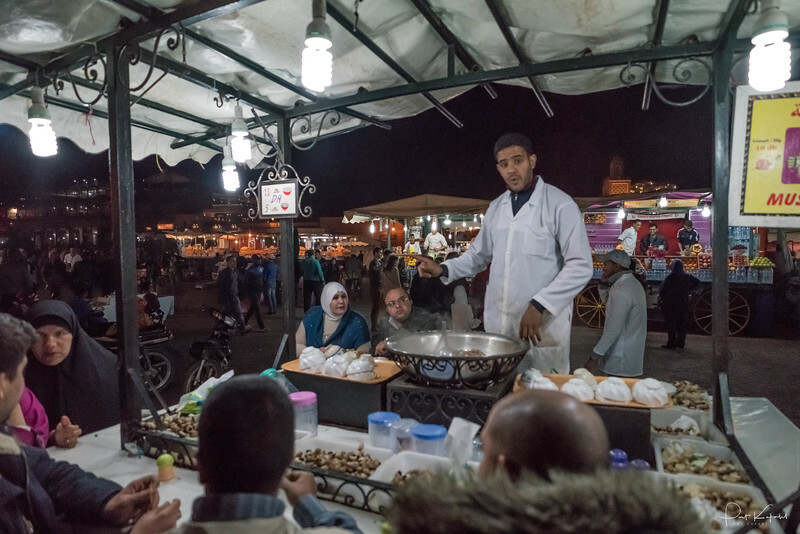 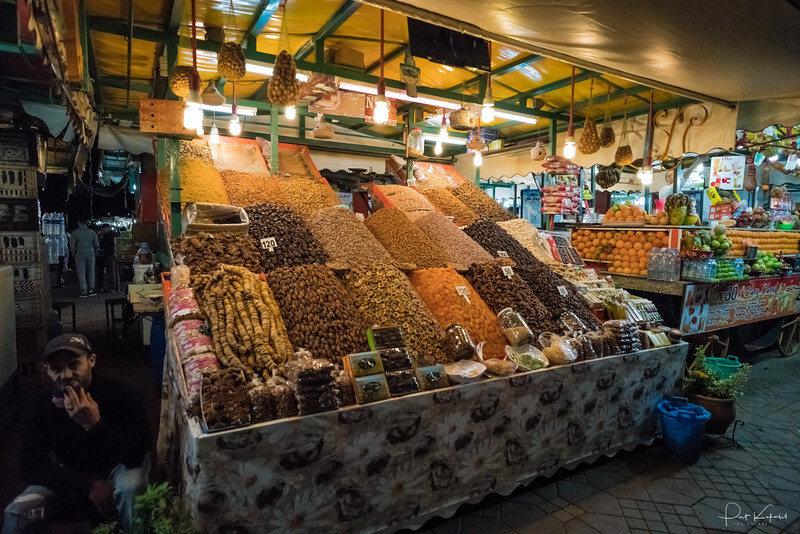 The Jemaa el-Fnaa, the central marketplace in Marrakech, has been going nightly for over a thousand years. 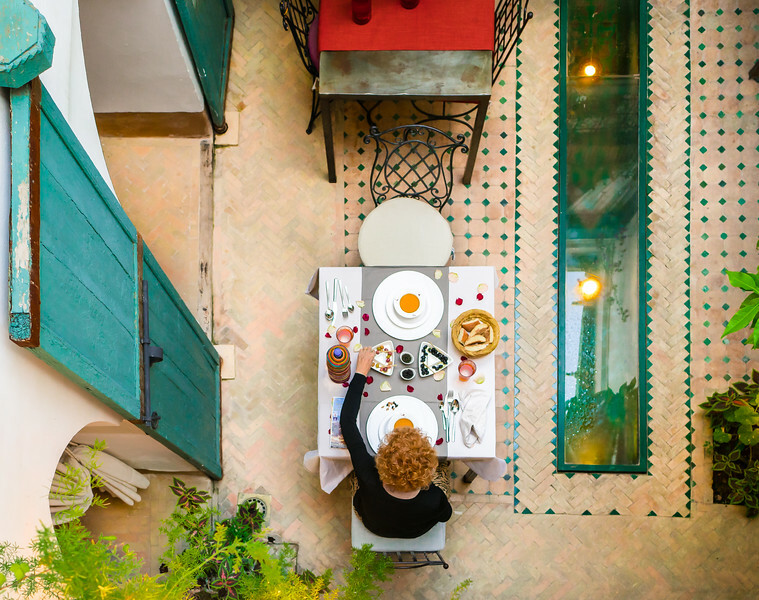 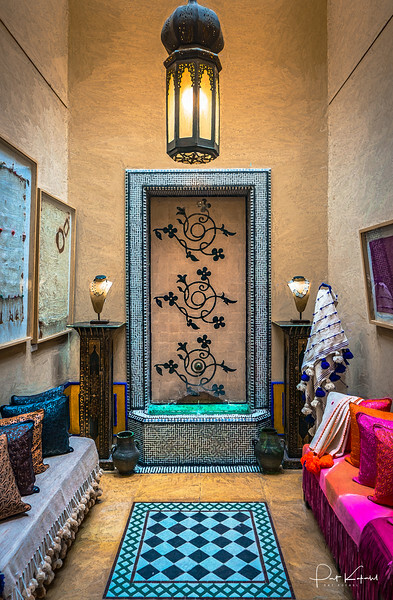 Steps away, in a quiet riad, a classic Moroccan dinner is served on starched white linen decorated with rose petals. 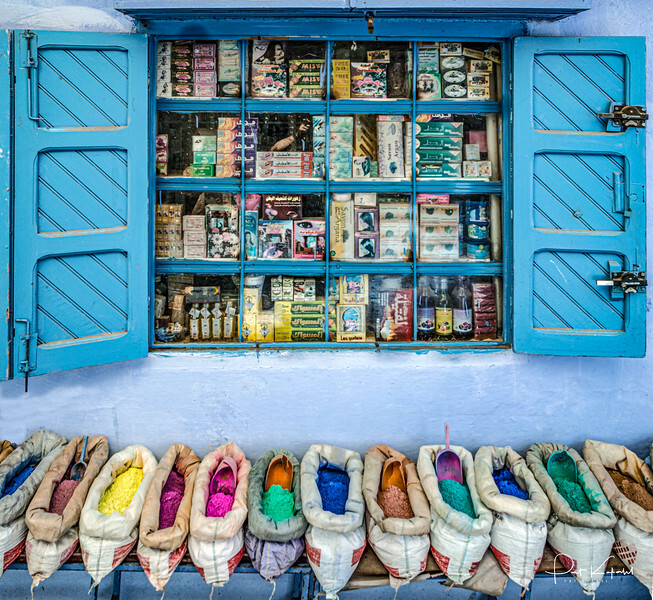 Crosby, Stills, Nash, Young, and Akbar. 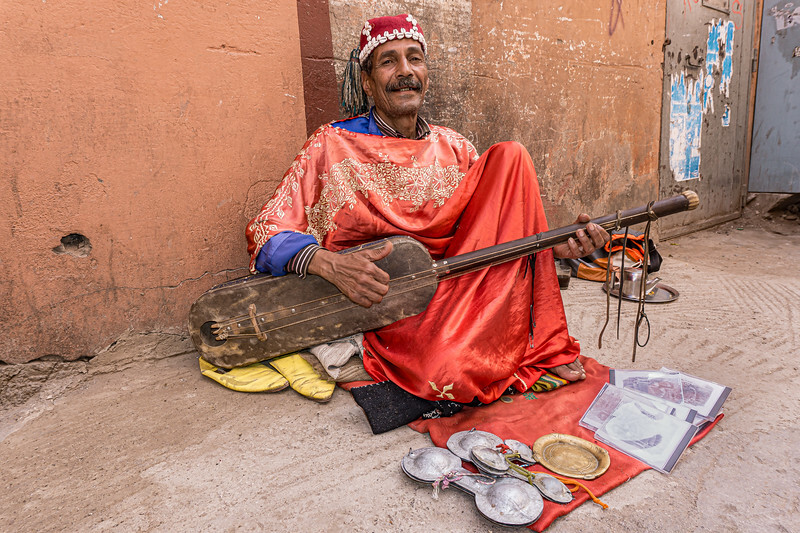 A Moroccan street musician plays a gimbri (also known as the sintir or hajhuj), a three stringed lute which is plucked to produce it's lovely bass tones. 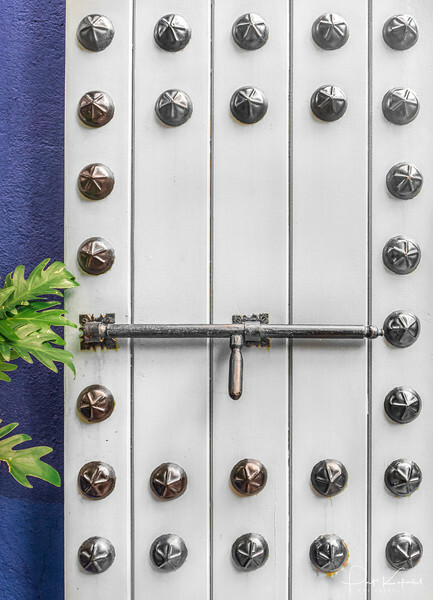 A bossed door decorates the entrance to the Yves St. Laurent gallery in the Majorelle Garden in Marrakech, Morocco. 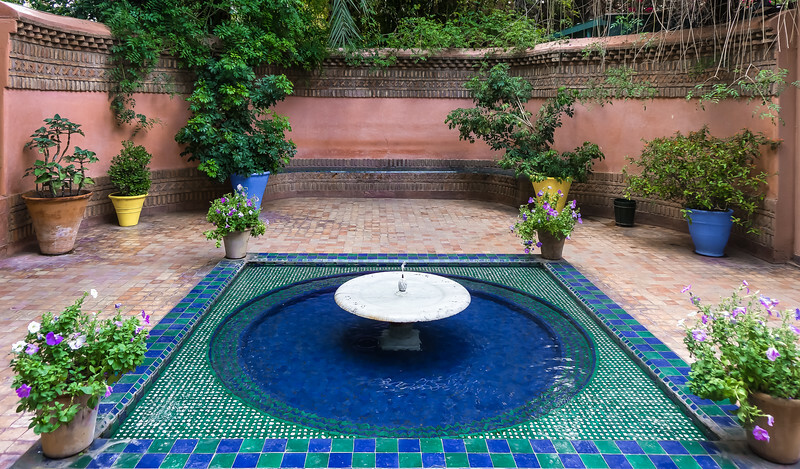 A tiled fountain decorates an seating alcove in the Majorelle garden in Marrakech, Morocco. 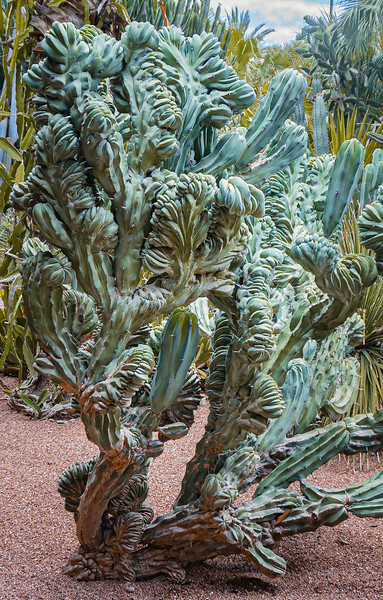 One of the many Cactus' that decorate the walkways of the Majorelle Gardens in Marrakech, Morocco. 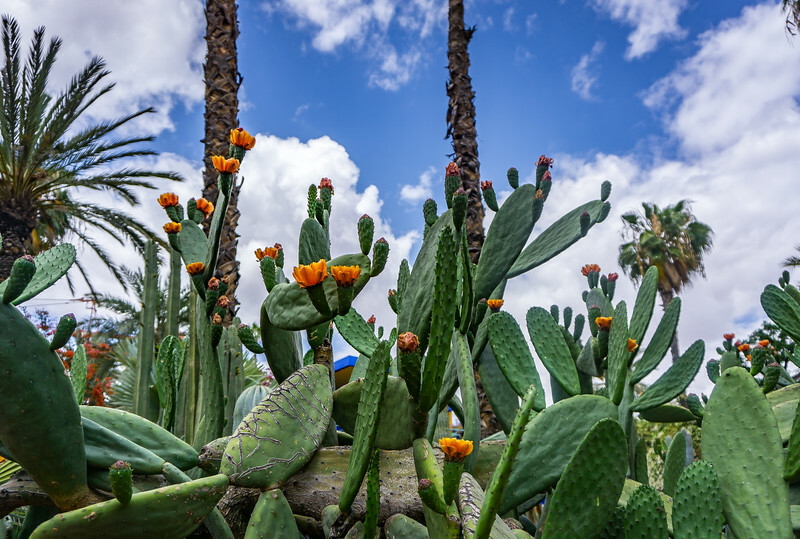 Cactus blossoms punctuate the nopalito cacti at the Majorelle Gardens in Marrakech, Morocco.